Riyuegu Hotsprings Resort offers peaceful retreats with natural hot springs and spacious rooms set in landscaped gardens. It features a large outdoor pool, first-rate spa and numerous fitness facilities. Boasting a private hot spring bath, elegant rooms feature classic furnishings and soothing neutral shades. They come with free broadband internet, comfortable seating area and spacious bathroom. 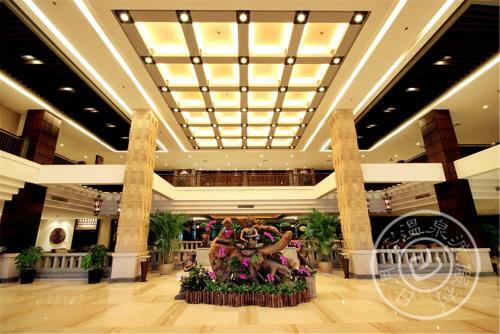 Resort Riyuegu Hotsprings is 30 km from Xiamen Gaoqi International Airport and Xiamen Railway Station. It offers hourly shuttles from Lundu Ferry Terminal and provides free parking. 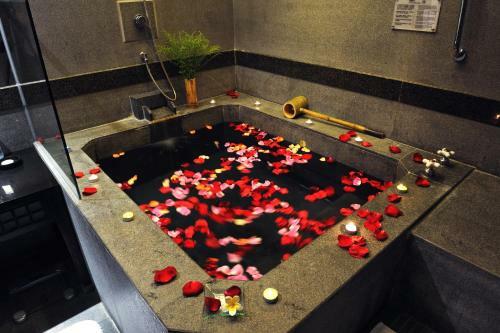 Guests can relax in the hot spring pool or enjoy traditional Asian massages. Other leisure options include an archery range, tennis courts and karaoke lounge. 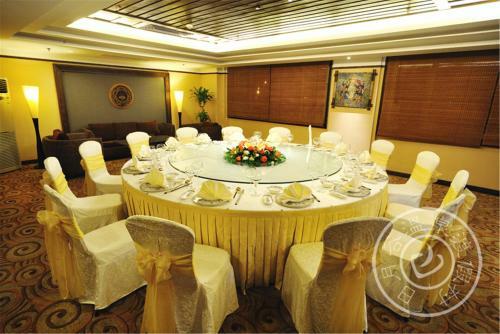 Local specialities can be sampled at Jing Yue Xuan while the 24-hour Sunflower Café serves international favourites. Room service is available. Všechny/a starší děti nebo dospělí jsou zpoplatněny USD 43,00 za noc a osobu za přistýlky. Maximální kapacita dětských lůžek v pokoji je 2. Internet: Internetové připojení přes modem je dostupné v(e) hotelových pokojích a je zdarma.